Time: Class starts promptly at 9:00am and will end about 5:30pm. Cost: $125.00 (PayPal, cash or check) to Bob Williams, balance collected at the start of class. You will get credit for your deposit or if paid on-line. Howell Gun Club Members pay only $103 (nice to be a club member). Now that you have registered: All class training packet materials including certificates have been ordered, paid for and arrived from MCGRO. In addition, you will receive a personalized folder with additional informational sheets provided by “I Help With Shooting” – notepaper, highlighter, shooting fundamentals diagrams, pens and pencils. YOU MAY BRING coffee, water, snacks or any goodies to enjoy at anytime. Pack a lunch to eat while viewing the legal portion of the class. There will be video, slides, discussions and hands on participation. 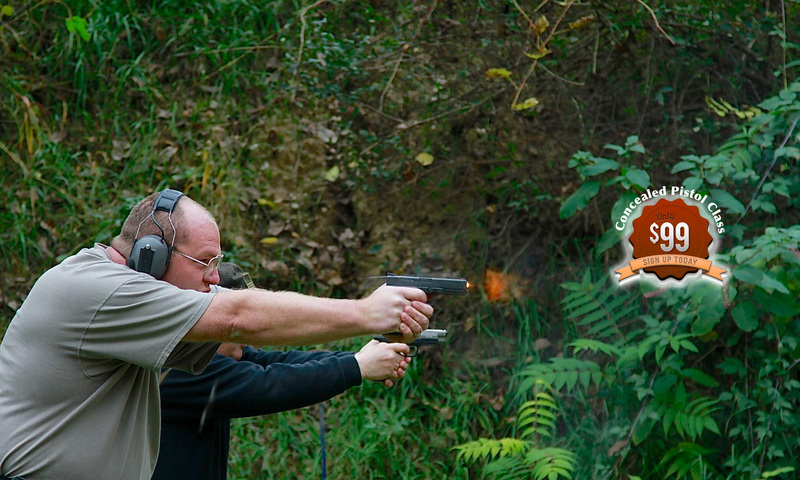 You will need a very minimum of 50 rounds (extra is encouraged) of ammunition and a handgun. If the handgun is registered in your name, you may legally bring it to class. If you do not have a handgun to bring legally, Bob and Mike, your instructors, will rent you one for a cleaning fee of $15. We also have ammo you may purchase. Please let us know in advance if you need a gun or ammo. Do NOT bring handgun or ammunition into the classroom. Certified Instructors, Bob Williams and John Hileman is looking forward to this class experience with you. It will be a fun day.